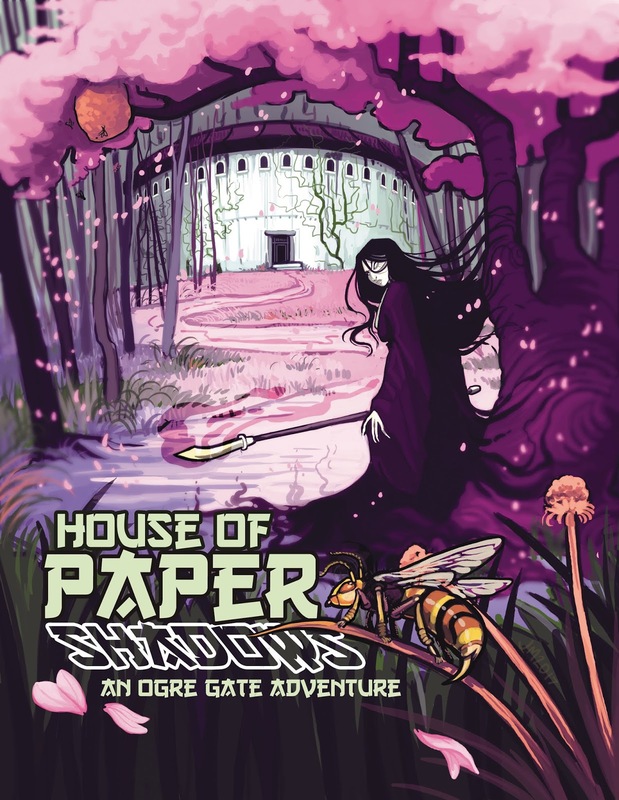 We just released House of Paper Shadows in PDF on RPGnow and DrivethruRPG. It will be available in in print in October. 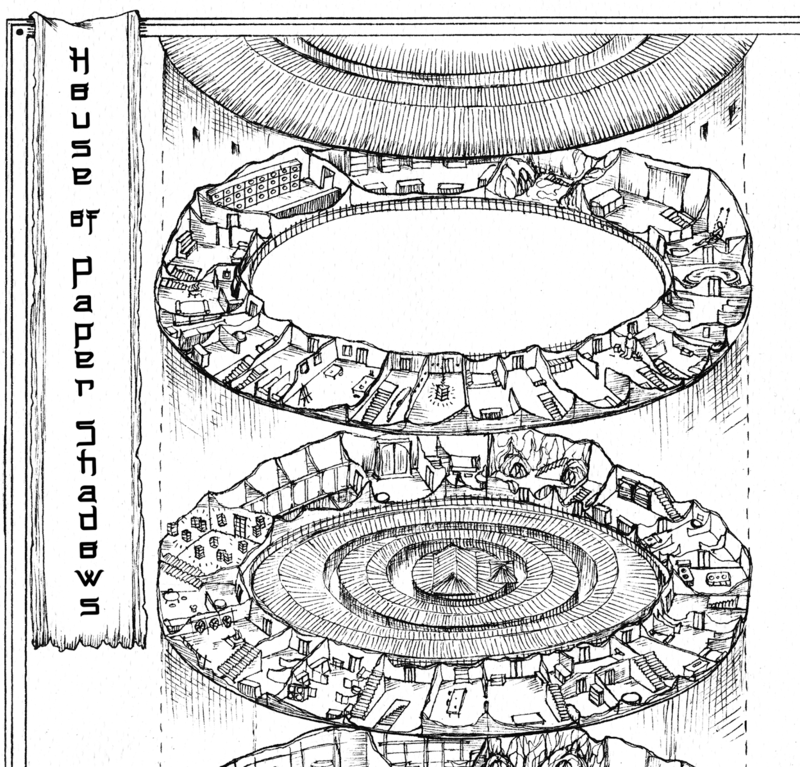 This is a 97 page adventure for parties brave enough to venture into the House of Paper Shadows (the headquarters of a secret information network). The book is packed with material, including art by Jackie Musto and maps by Francesca Baerald. 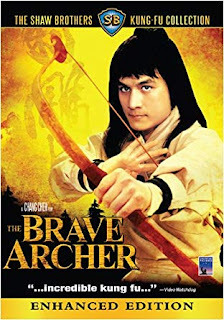 This scenario is much more in the style of 70s horror and old Shaw Brothers exploitation films. It is lethal but can be easily customized to raise or lower the danger by selecting the right hook (we provide a number of hooks at the start of the book). Inside are ghosts, spirited beasts, deadly traps, strange shadow puppets, and much more. You can find it HERE in PDF. 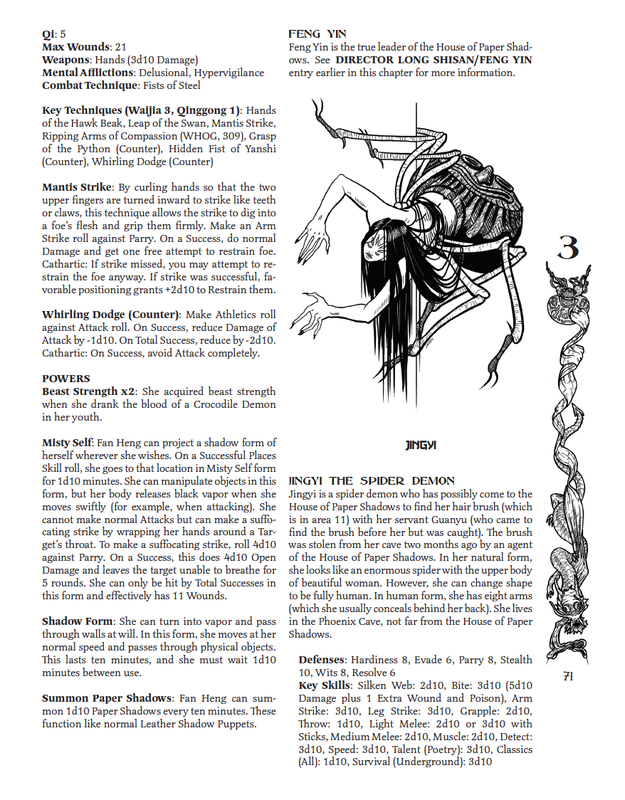 Here are some of the things you can expect to find inside House of Paper Shadows. The adventure is set inside a haunted earthen roundhouse, where a crazed director labors under an ancient curse. 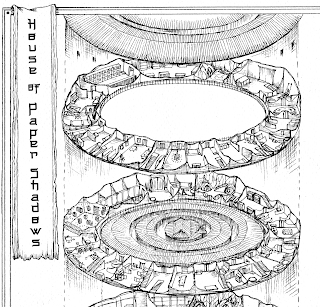 There is a set of maps by Francesca Baerald illustrating the house: a 3-dimensional sideview, a 2-dimensional overhead view, a blank map for the players and a historical map of the structure. The house itself has over 50 rooms fully described. But there is also an interesting historical adventure included in one of the chapters. 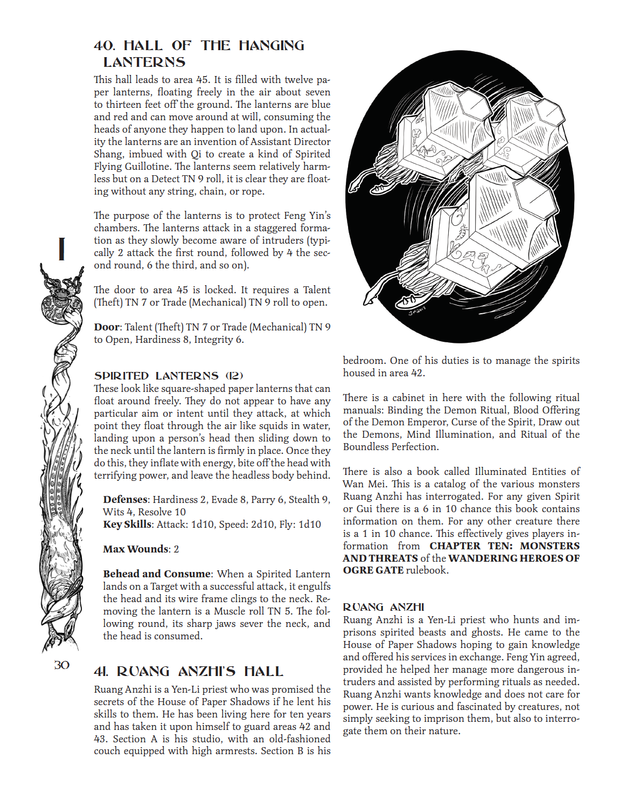 There is a chapter of new monsters and NPCs, featuring everything from a giant spirited spider to the shadow agents who guard the house. There are also four regenerated characters, a number of optional hooks to help set the challenge level of the adventure and plenty of surprises. 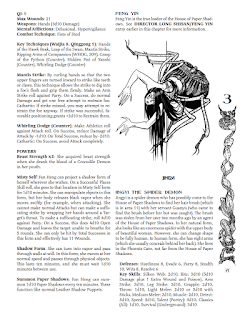 Inside the walls of the House of Paper Shadows, adventurers encounter halls of flesh and paper, spirited beasts and an assortment of other horrors. Some may discover gateways to the past and the dark root of a terrible curse. The House’s chambers are deadly and guarded by shadows that are more than they seem. 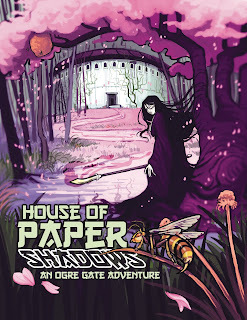 The House of Paper Shadows is a wuxia-horror adventure for Wandering Heroes of Ogre Gate. It includes a complete map and description of the Shadow House which features new monsters, traps, characters, Kung Fu Techniques, and a mini-time travel mystery adventure. This table is intended for moments when the player characters are on the cusp of victory or otherwise dealing with an important matter. You present them with a new crisis, so they must choose. The idea is something you can throw at the players during a major confrontation or climax adventure. Alternatively, you can use this table any time you like, rolling twice to create a dilemma of your choice. The entries are left open to interpretation where possible so the GM can fit the details to the situation. The dilemma can arrive in any form that feels appropriate (a messenger, carrier pigeon, a witness, etc). The important thing is, choosing to deal with the result on the table will require they leave the present situation. Clever parties may find ways to contend with both events. 1-10 Fellow disciples or members of an allied sect (or simply friends of the characters) are trapped in a collapsed cave complex or underground temple. They have 12 hours of air left but the path to rescue is beset with traps. 11-20 Someone in their group or sect is ill suffering from a terrible malady, or perhaps an injury. There is a flower that blooms for one hour every hundred years that can cure the condition, and word reached the party that such a flower has bloomed on a nearby hill. 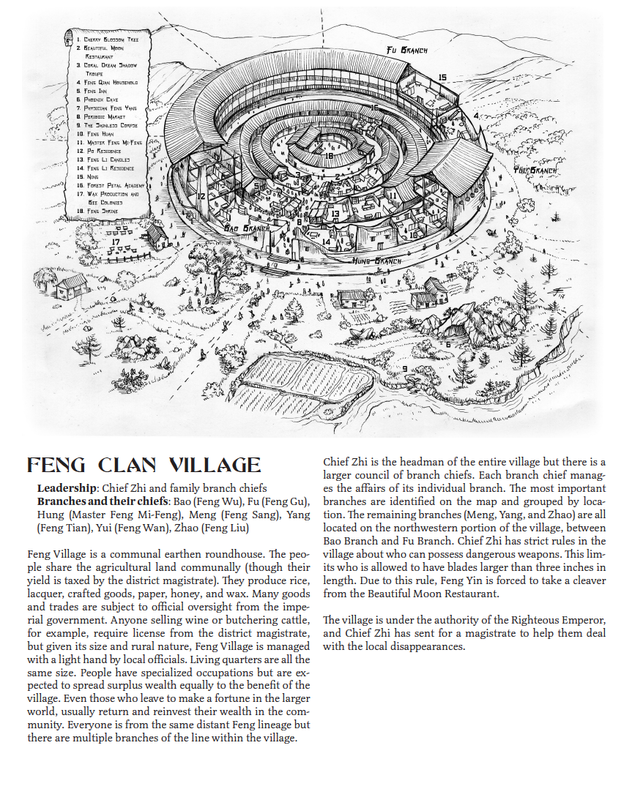 31-35 One of the player’s allies, sifu, or family members was ambushed and surrounded by a group of martial experts who have teamed up in order to defeat that person. The fight is presently underway in the not too far off distance. 36-40 A massive fire begins to sweep through the area. It will take concentrated effort and time to put it out (or extraordinary clever thinking) and if it isn’t stopped the whole region, including important buildings, will be destroyed. 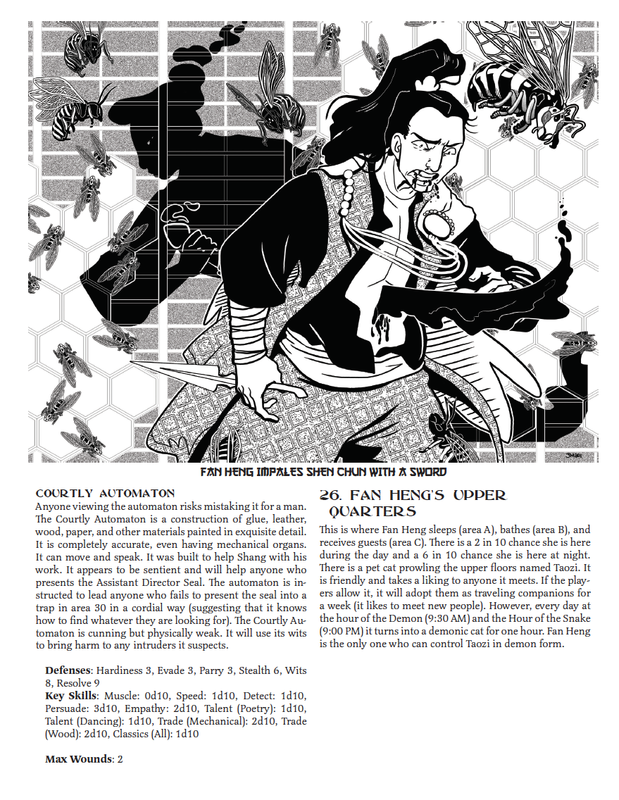 41-45 An enemy of the party or sect with great kung fu has used the present situation to kidnap and escape with an individual of importance or personal significance in their group. He or she is presently on the move and intending to meet up in a predetermined location with other powerful martial experts. 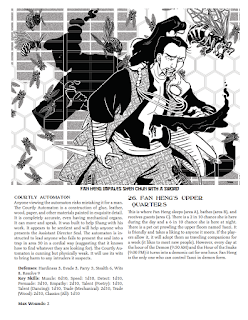 46-50 A spy from an enemy sect or a personal enemy of the party is exploiting the present situation to observe and take notes on their Kung Fu with the aim of figuring out their most powerful techniques. Every technique they use, roll that person’s Detect against their attack result. If the number equals or exceeds the attack, they get enough information to figure out the technique over time. The spy is not unskilled him or herself and contending with them will be its own task (and the spy has a retinue of archers hiding nearby to help fend off anyone trying to interfere with the plan). 51-55 A group of Ritual Masters with a grudge against the sect is using the present situation to enact a terrible ritual against them. They perform the ritual from a nearby cave or mountain top, slowly banging a drum as they do so. The target of the ritual is the most important member of the sect. Each beat of the drum ages the target by one year until that person dies of old age. If the target is selfless he or she may insist the present matter be tended to first. 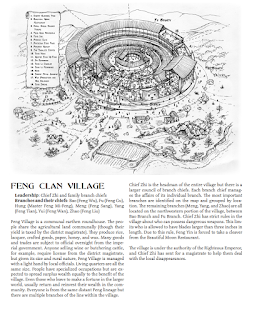 56-60 An allied sect or martial school is about to be attacked by one its rivals and the outcome could be grim if they don’t get assistance. The sect or school does not know about the attack as it is to be an ambush, and even if they did, they don’t have the numbers to deal with it on their own. In order to reach them, would-be rescuers would need to leave immediately from the present situation to arrive on time. 61-65 A friend, ally or member of the sect has been captured by authorities and found guilty by a corrupt magistrate. He or she will be executed unless someone stages a rescue. But to get there in time would mean leaving the present situation. 66-70 A sect, group or small army uses the present situation to freely take over a nearby town. The precise details depend on the location, but they could be a small force of Kushen or Kailin trying to take a foothold, or just a group of bandits expanding their territory. The town will fall if nothing is done soon. 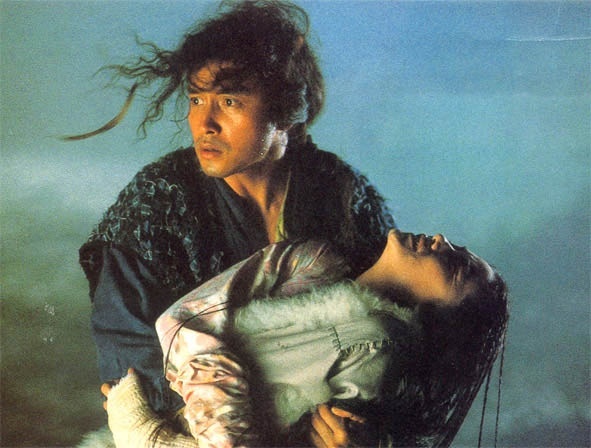 71-75 A person close to one of the PCs, perhaps a love interest, is suddenly in dire need of their assistance. This may be a life or death crisis involving a clash of sects. Whatever the situation, the person will most certainly hold it against the PC if they choose the present situation over them, leading to a lifelong grudge. 76-80 A family member or close friend (preferably the former) of one of the PCs is about to make a terrible, terrible decision that will send them on a dark and violent path. The consequences of this action will result in the death of many. But perhaps more significantly, it will forever change the player character’s relationship with that person. There is still time to talk them out of it. 81-85 A member of their sect is about to marry someone from an enemy sect. If this happens it will make them enemies of both groups. There is still time to stop it if they leave now, but if it isn’t prevented, the players may one day have to kill their fellow disciple. 86-90 An old enemy of the sect, perhaps someone who was kicked out years ago, is using the present situation to stage a take-over of their headquarters. If the present situation is occurring at the headquarters, this is more of a complication than dilemma (though it still may result in the players having to make difficult tactical choices). 91-95 One of the PCs mothers, fathers, grandfathers or elders is dying, and has an important message to impart before their death. The information will only be spoken to the character in question, but the ailing family member has very little time to live. If the player doesn’t go to them presently, not only will they miss the message, the character will acquire the reputation of being unfilial. The message itself will change everything the player understands about his or her place in the world. 96-100 The emperor, or another nearby and important leader, is ailing and has asked to see the players personally. He believes he will die soon and intends to grant them a single request. In truth he shall recover but will hold it personally against the party if they fail to arrive in a timely manner.